A Michigan Mystery: Is Heathkit Back? The legendary Heathkit name might once again be appearing on new electronics kits, including amateur radio gear. Or maybe not. The possible second reincarnation of Heathkit is shrouded in secrecy at the moment, so it's difficult to get any hard facts. Here's what we do know: After the original Heath company got out of the kit business and eventually shut down completely, new owners in 2011 announced its return to the kit market, along with plans in introduce kits focused on computers and education (amateur radio equipment was not part of the initial plan). Things did not work out as planned and the new Heathkit declared bankruptcy and closed its doors last year without ever producing a single kit. As part of the bankruptcy proceedings, the Heathkit name, logo, and rights to previous equipment designs were put up for auction. CQ Kit-Building Editor Joe Eisenberg, K0NEB, reports that at last week's Dayton Hamvention®, DZ Kits owner Brian Wood, W0DZ, told a kit-building forum that he had been an unsuccessful bidder for the company's assets, but that he did not know who the winning bidder was. Around the same time, the Heathkit.com website came back online, featuring a Mark Twain postage stamp and a famous Twain quote, "The news of my death has been greatly exaggerated." Also appearing on the website, although without a link from the home page, was an extensive survey for potential customers, saying "Heathkit is back" and seeking input on products that might be offered. The survey is at <http://heathkit.com/survey/index.php/278489?lang=en>. Based on the content of the survey, it appears that the new owners are focusing on the amateur radio market to get them started, and some of the questions suggest that they may start out by re-introducing classic Heathkit gear, either in its original form or with updated electronics inside the classic chassis and case. Here's what we don't know: There is no indication of who the new owners are or how to contact them. There is no "contact us" link on the website. A "whois" search on the internet for the registered owner of the heathkit.com domain name returns only the company name and address (in St. Joseph, Michigan). And there is no record as yet of any company with "Heath" or "Heathkit" in its name in the Michigan Secretary of State's online corporation registry. We don't know how soon the new owners intend to publicly announce their plans for the company, or when - if ever - they will introduce any new (or new-old) products. We encourage the new owners to reach out to the amateur radio media and ask anyone reading this who knows them to strongly suggest that they contact us so we can help them spread the word and to get facts rather than speculation out to the amateur community. When and if we do have additional information to report, we will post updates here in the CQ Newsroom and/or in the pages of CQ. 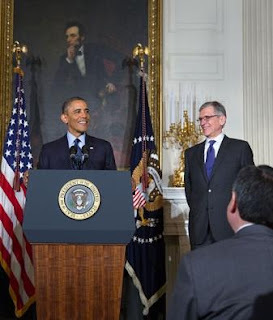 Tom Wheeler has run two telecom lobbying groups, advised the FCC on emerging technology and written a book on telegraph history. Now, he has been nominated by President Obama to succeed Julius Genachowski as Chairman of the Federal Communications Commission. The president compared Wheeler to athletes Jim Brown and Bo Jackson, pointing out that he is the only person ever named to both the cable television and wireless industry halls of fame. According to the ARRL Letter, Wheeler - who is currently a managing director for a venture capital firm in Washington - previously served as president of the National Cable Television Association (now the National Cable & Telecommunications Association) and as CEO of the Cellular Telecommunications and Internet Association. He is also chairman of the FCC's Technological Advisory Council and of the State Department's Advisory Committee on International Communications and Information Policy. He was also a fundraiser for both of Mr. Obama's presidential campaigns. Of particular interest to hams, the ARRL says Wheeler is also the author of Mr. Lincoln's T-Mails, a book about the 16th president's use of the telegraph. 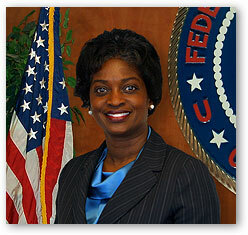 President Obama named FCC Commissioner Mignon Clyburn to serve as Acting Chair until the Senate confirms Wheeler's nomination. Should the federal government set specific interference rejection standards for receiver manufacturers? It's a question the FCC considered, and decided against, back in the 1980s, when television interference (TVI) was still a major problem; and it's an issue that three separate federal panels have been studying for the past year and a half, looking at growing interference problems accompanying the staggering growth of wireless systems using frequencies shared with or adjacent to other services (including hams). It looks like the FCC is headed down the same road it went down 30 years ago, with recommendations from its Technological Advisory Council (headed by Chairman-designate Tom Wheeler) to develop thresholds of "tolerable" interference for receivers rather than mandating specific interference-rejection standards. The FCC is seeking public comment. The docket number is ET 13-101, with a due date of June 21 and a reply deadline of July 8. Be sure to read the Public Notice and the underlying "white paper" before filing comments. One of the first things people noticed at this year's Dayton Hamvention® was the number of empty booths in the exhibit halls. While the crowd of buyers seemed roughly equivalent to last year's (which the Dayton Amateur Radio Association announced as just under 25,000), the number of vendors appeared to be down noticeably. According to the Hamvention website, however, there were only 16 fewer vendors signed up for this year's show than last year's (245 vs. 261); but there were 41 unsold indoor booths, up considerably from last year's 18. The number of flea market vendors and spaces sold were virtually unchanged compared to both 2012 and 2011. Well-known ham author Ward Silver, N0AX, has been elected President of the Yasme Foundation. He succeeds Wayne Mills, N7NG, who stepped down after being named CQ magazine's DX Editor earlier this year. Silver is author of the introductory book, Ham Radio for Dummies, and is Editor of the ARRL Handbook. The Yasme Foundation funds scientific and educational projects relating to amateur radio. 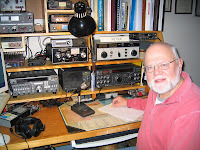 Scott Wood, VE1QD, has been named the Canadian Radio Amateur of the Year for 2012 by the Radio Amateurs of Canada (RAC). Wood, who wrote the November, 2011 CQ cover story on Radio Arcala, was recognized for founding and managing the Maritime DX Forum for the past eight years. Wood was formally recognized at the RAC booth at the 2013 Dayton Hamvention®. Longtime ham radio journalist, engineer and DXer Joe Schroeder, W9JUV, became a Silent Key on April 30. Schroeder was a staff member of ham radio magazine from 1974 to 1990, and was founding editor of the magazine's weekly newsletter, HR Report. He was also Managing Editor of Electronic Instrument Digest magazine as well as an authority on firearms history and gun collecting, a topic on which he also wrote and/or edited many books and magazine articles. Joe was 83. 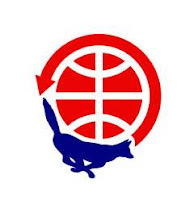 A new version of the ARRL's software library for interacting with its Logbook of the World electronic confirmation system was released on May 20. According to the ARRL Letter, version 1.14 of the TrustedQSL library allows users to sign and upload log files in a single operation, and reports apparent errors in station location (such as incorrect CQ zones) to the user. It also notifies you of contacts that you have already uploaded. The ARRL says upgrading to the new software is not mandatory but is encouraged. UPDATE: The ARRL says release of the new software has been delayed due to the discovery of three "bugs" that have since been corrected. However, making changes required additional testing, so the League said it was delaying the release of the software until the end of May. It took nearly 30 years, but the ARRL has finally granted DXCC credit for contacts made with the TI9CCC expedition to Cocos Island in 1984. Apparently, there were long-standing questions regarding the dates of the operation, but the ARRL Letter says the issue has finally been resolved. Anyone who has a confirmed contact with TI9CCC between February 15 and 28, 1984, should e-mail DXCC Manager Bill Moore, NC1L, with the details in order to be placed on the list for a record update. AMSAT's Fox-1 satellite has been scheduled for launch aboard NASA's ELaNa XII mission late next year, according to the AMSAT News Service. NASA plans to launch the cubesat into an orbit with an expected lifetime of about 11 years. The satellite is scheduled to be delivered to NASA for integration with the launch vehicle next March, to be followed by a launch currently scheduled for next November. The satellite will host scientific payloads as well as amateur radio equipment, as part of AMSAT's recent focus on supporting science, technology, engineering and mathematics (STEM) education. The satellite's planned educational mission qualified it for the NASA program, which provides free launches for selected projects. The launch is generally the most expensive part of any amateur satellite project. 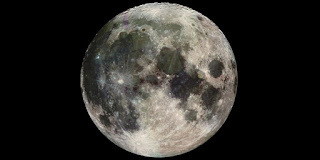 Plans continue for the addition of digital amateur television (DATV) capability aboard the International Space Station. The project is designed to add a video component to school contacts already conducted by ISS crew members through ARISS, the Amateur Radio on the International Space Station program. The DATV transmitter will operate on 2240.0 and 2437.0 MHz, according to the AMSAT News Service. The HamTV equipment is scheduled to be sent up to the station on a supply mission currently scheduled for early August. More information is available on the HamTV Project's Facebook page at <https://www.facebook.com/Hamtvproject>. used for CW and SSB downlink signals. It was noted that these frequencies have become underutilized after most EME (moonbounce) activity moved further up the band. AMSAT-NA has not yet taken a position on the proposal. It is worth noting that in the United States, FCC rules permit only CW operation on the frequency segment between 144.000 and 144.100 MHz. A new world distance record for EME (Earth-Moon-Earth) communications has been claimed by Rex Moncour, VK7MO, in Australia, and the OK1KIR EME Team in the Czech Republic. "Newsline" reports that the contact between the two stations spanned 16,383 kilometers, or approximately 10,180 miles - not counting the trip to the Moon and back! It is reported that VK7MO was using a new decoder that he developed in conjunction with "JT" mode developer and Nobel laureate Joe Taylor, K1JT. Rex was running 10 watts to a 1.14-meter dish while OK1KIR was running 22 watts to a 4.5-meter dish. According to "Newsline," Mustapha Landoulsi, DL1BDF, representing Germany's Deutscher Amateur Radio Club (DARC) and Stefan Dombrowski, ON6TI, from Belgium's UBA national association, met with the minister on World Amateur Radio Day, April 18, along with members of the Tunisian association. They described amateur radio's role in emergency and disaster communications as well as science and engineering education through the amateur satellite program. Reports indicated that the minister was quite impressed with amateur radio's potential and promised to start the wheels turning to permit the licensing of individual Tunisians. Current laws limit the issuance of amateur licenses to cultural and educational organizations. "Last Man Standing," the ABC-TV comedy starring Tim Allen, has been renewed for a third season, according to the program's producer, John Amodeo, NN6JA. 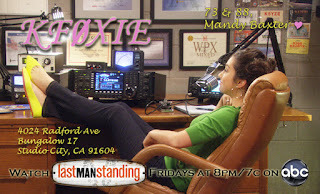 In the program, Allen's character is a licensed amateur and has stations set up in his office and his basement, both of which are regularly seen (especially the office station). The use of amateur radio was featured on a recent episode, and Amodeo says he anticipates that it will be included in at least one episode next season as well. 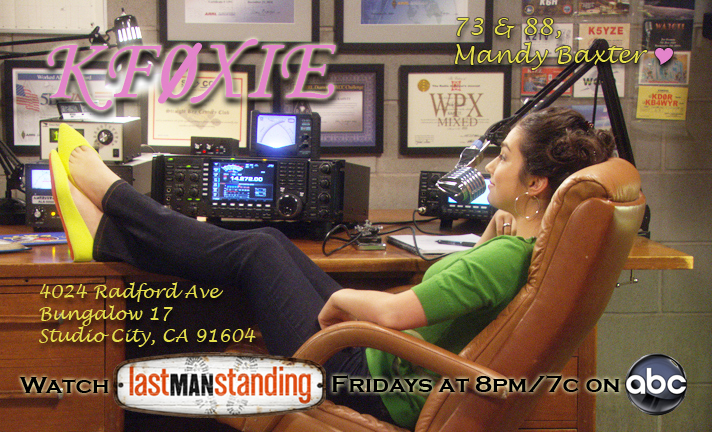 QSL card for "Mandy Baxter, KF0XIE"
He also revealed that the character of Mandy Baxter, who was operating her father's radio but did not identify with a callsign, will be properly (if fictionally) licensed next season, as KF0XIE. Amodeo brought some of "Mandy's" QSL cards to the Dayton Hamvention® in May. An article by Amodeo on the making of this past season's episode featuring ham radio will appear in the July issue of CQ magazine. (Dayton, OH - May 17, 2013) -- CQ magazine today announced its 2013 Hall of Fame inductees, adding two members each to the CQ DX and Contest Halls of Fame along with eight new members of the CQ Amateur Radio Hall of Fame. The CQ DX and Contest Halls of Fame honor those amateurs who not only excel in personal performance in these major areas of amateur radio but who also "give back" to the hobby in outstanding ways. * Vladimir Bykov, UA4WHX/AC4LN, has visited and operated from over 100 DX entities in the past ten years and operated from all six continents in 2012 alone. Has provided over 700,000 DX contacts for hams around the world (and QSLed them all). * Robert "Gary" Dixon, K4MQG, is a founding member of the Carolina DX Association and as Founding President of INDEXA, the International DX Association, which has helped support over 200 DXpeditions in the past 30 years. * Dale Green, VE7SV, is a world-class contester who has been hosting teams of new and experienced contesters at his superstation for the past 20 years, and recently helped start a contest group in Chile. * Charles "Chas" Fulp, K3WW, also a multi-award winning contester and past president of the Frankford Radio Club (FRC), which saysChas "is our role model and sets the standard for other FRC members to strive to achieve." Formal inductions to the CQ Contest and DX Halls of Fame were scheduled for the Dayton Hamvention.® More detailed descriptions of inductees will appear in the official announcement in the July 2013 issue of CQ magazine.